Pokemon yellow is an improved version of Pokemon Red and Blue, despite the game’s oldie features and colors, thousands are still enjoying the game. Cheats are popular in Pokemon games and this post; I will show you all the possible working Pokemon Yellow Cheats. Important: Please use US version Pokemon Yellow rom with recommended GBC emulator to make the cheat work. Below cheats are also popular on GBA Pokemon games as well as favorite cheats for Pokemon GBA ROM hack users. 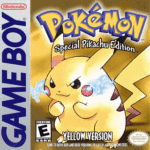 Cheats below are fully tested working for Pokemon Yellow: Special Pikachu Edition version. Note: Some of the cheats such as the Rare Candy requires master codes. Master codes should be entered and activated first or else the cheat will not work. WARNING: Try to activate no more than two cheats at once. Cheats can be useful in the game, but it can ruin your game. Overused of cheats can cause the game to confuse and may result to crash. Just to be safe, be sure to save the game before activating any cheats. How to use: Throw a Pokeball during a battle, you can combine this cheat with Masterball to achieve 100% catching rate. Note: Legendary Pokemon sprites/figure may appear weird but will return to normal when captured. How to use: Pikachu must be placed in the first position. WARNING: This cheat removes Pikachu’s existing attacks, use at your own risk. So that’s it, this is my collection of cheat codes for Pokemon Yellow, Got a question? I would love to hear from you. Let’s discuss Pokemon Yellow. Please add a choose a different starter and missing money cheat. There’s no cheat for changing starter Pokemon. What do you mean missing money cheat? We have the codes for Infinite Money/Cash check it. How do you put the code into the Game Boy??? I need to know!!! Instead of using the unlimited money code, have you tried using the unlimited rare candies code and sold them. It’s useful especially when you want to get money quicker. Did you do the Pikachu surf without knowing it replaces your original 4 attacks? Where are my infinite rare candies? I put the code in correctly. Most players play this game on emulators such as My OldBoy and there you can enter the cheats. what and where do the numbers go to?